The Insurance Times Awards took place at the InterContinental London. Hosted by Kevin Bridges, which was enjoyed by over 1100 guests, the highly established black tie event was not to be missed – especially when you are a finalist twice over! With Vetsure’s in-house claims team having just celebrated their first birthday and the new e-claims system launched in April 2017. They were up for ‘Insurer Claims Initiative of the Year’ and ‘Insurer Innovation of the Year’. 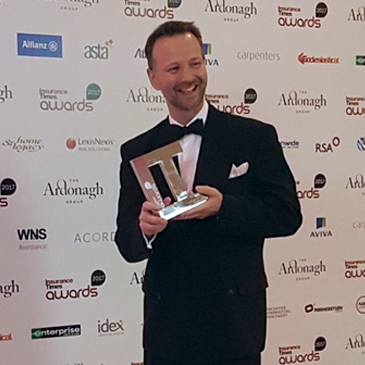 They are absolutely ecstatic to have taken home the Winners trophy for ’Insurer Claims Initiative of the Year‘ and Highly Commended for ’Insurer Innovation of the Year‘.